Teachers in Los Angeles have gone on strike for the first time in 30 years to demand salary increases, smaller class sizes, and more support staff at schools, following the lead of other states last year. The average salary for a public school teacher was $59,850 during the 2016-2017 academic year, the most recent for which data is available. 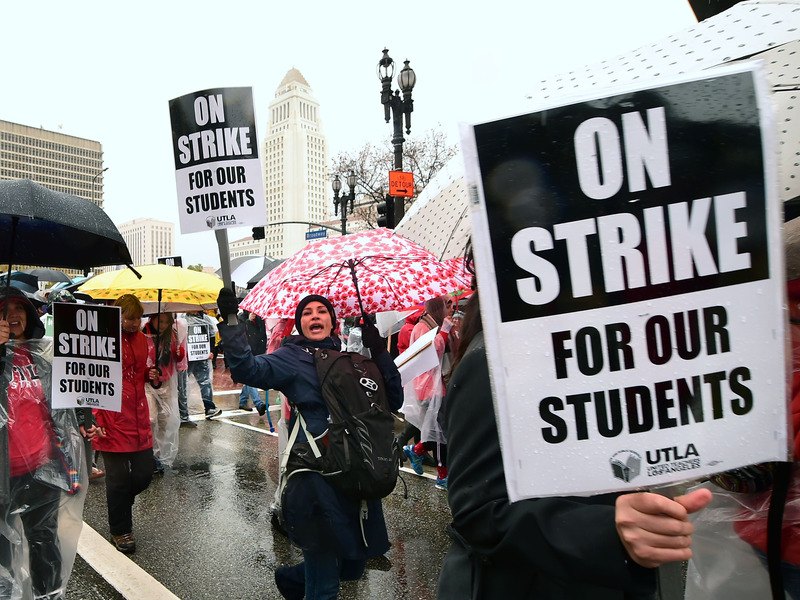 With nearly 31,000 school staff members on strike, the LA teacher strike is affecting nearly half a million students and their families, the LA Times reports.